Fabric: Outershell: EXCEL FR® ComforTouch® Flame-resistant, 7 oz. Twill 88% Cotton / 12% Nylon, Water-repellant. Insulation: Flame-resistant 12 oz. Two Layer Quilted Modacrylic. 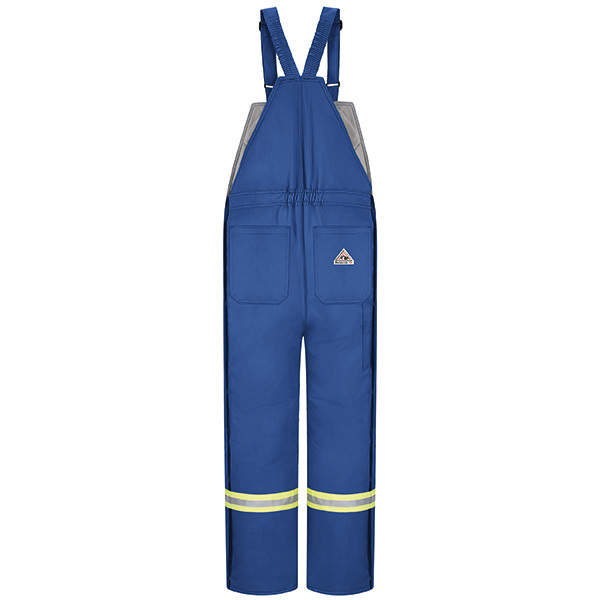 Features: Two-way, extra heavy-duty, Nomex® taped, brass zipper front with concealed flap. Elasticized shoulder straps with non-conductive adjustable hardware. Five large patch pockets › Hip pocket with closure. 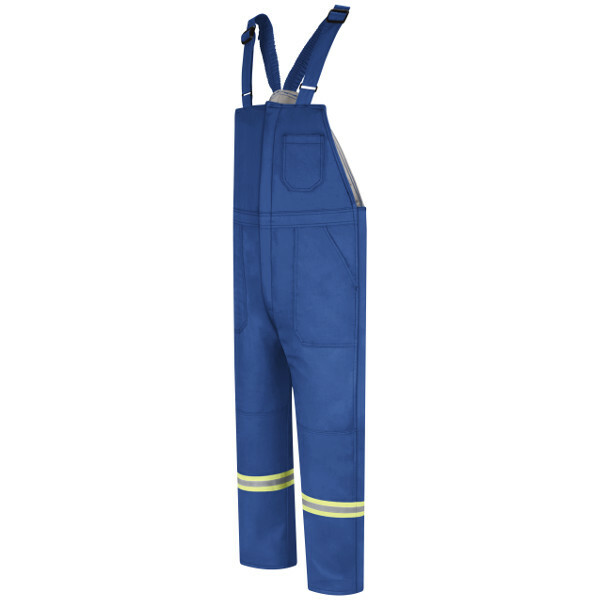 Reinforced double knees.br> Full, Nomex® taped, ankle-to-hip brass zippers, concealed snap closure. 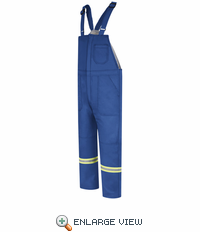 360° visibility with front and back 2" flame-resistant silver reflective striping around calves. Protection: Arc Rating ATPV 43.3 calories/cm².